Auctioneer: Prudence Sloane | I-Park Foundation, Inc.
Prudence Sloane is a well-known culinary expert and personality who works in television, radio and print throughout Connecticut. Presently, she is a chef on Better Connecticut WFSB, Channel 3 weekly and is called upon as a key note speaker, emcee and celebrity chef. Her newest venture is Prudence Sloane’s Hartford City Food Tours which combines a cooking class with a tour of Hartford’s ethnic markets and restaurants. Prudence is the weekly chef on Better Connecticut, WFSB, Channel 3; host of “Simply Food with Prudence Sloane”; “Let’s Eat! 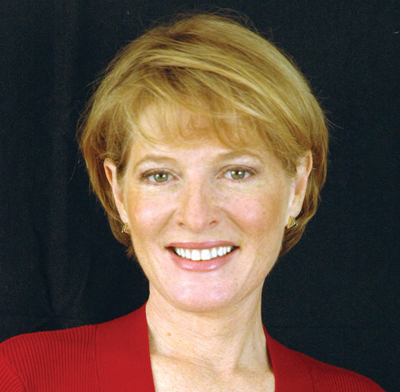 With Prudence Sloane”; host, creator, writer and producer of 39 episodes about food as a “lifestyle”; co-host, co-creator and associate producer of “The Food Schmooze” on Connecticut Public Radio; monthly chef on Eyewitness News on WFSB/CBS Channel 3; weekly chef on “Taste of Today” on NBC 30, and; host of “Radio Cookbook” on WHUS 91.7 FM. She has also been featured on Lifetime TV and in Connecticut Magazine, Northeast magazine, Me magazine, Preview, Hartford Advocate, Life Magazine, Seasons magazine and the Hartford Courant. In addition, her articles and columns have appeared in numerous publications including the Hartford Courant’s Northeast magazine, Hartford Magazine, Home Living Connecticut, Seasons, Connecticut Business, Legends, The Shore Line Times and the New England Wine Gazette. She is a popular key note speaker, interviewer, honorary chair, emcee and celebrity chef for numerous organizations and events including Bushnell Theater – an Interview with Ina Garten, Food & Wine Festival at MT Washington Omni Hotel, NH, The Kate Theater, The Original Connecticut Home Show at the Connecticut Convention Center, The Connecticut Restaurant and Lodging Show, Sun Wine Fest, SOS Taste of the Nation, The March of Dimes, American Diabetes Association, Amistad Foundation and The Hartford. Prudence owned and operated Prudence Sloane’s Cooking School in Hampton, CT and has taught at other educational institutions including Sur La Table, University of New Haven’s Institute of Gastronomy and The Mystic Cooking School. She is a Food Stylist for Print and TV and has worked for companies including Food and Wine Magazine, New York Magazine, Big Y Supermarkets, and Connecticut Home Living.